A Sydney man allegedly tried to sell "missile components" and military expertise to foreign countries to raise money for Pyongyang. The Australian police described him as a "loyal agent of North Korea." The Australian Federal Police (AFP) on Sunday alleged that a Sydney resident had been an "economic agent" for North Korea in violation of domestic and international sanctions. Police had arrested the man yesterday. The naturalized Australian citizen of Korean descent was charged with "brokering sales and discussing the supply of weapons of mass destruction," the AFP said in a press release. At a press conference earlier in the day, AFP Assistant Commissioner Neil Gaughan said that the 59-year-old man had attempted to "conduct illicit trade deals on behalf of North Korea," and reported that had the trade deals been concluded, the revenue would have reached "tens of millions of dollars." "This is black market 101," he added. The man's alleged goal was to generate income for Pyongyang from abroad. "I think at the end of the day he would sell whatever he could to make money back for the North Korean government." 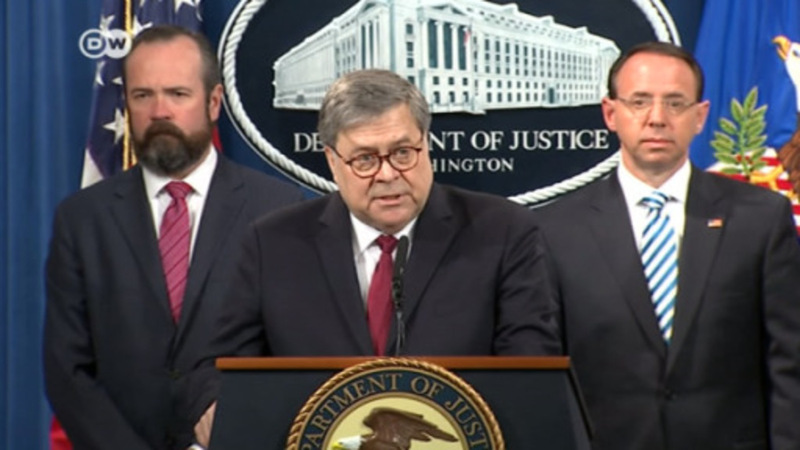 Gaughan detailed that the man "brokered sales of missile componentry and technical expertise from North Korea to other international entities abroad." He declined to name what countries were the intended recipients of the componentry, highlighting political sensitivity. The suspect was also thought to have tried to sell gemstones and coal to buyers in Indonesia and Vietnam on behalf of Pyongyang. While the nature of his contact to North Korean individuals was unclear, Gaughan said that the man had likely been in contact with high-ranking officials in North Korea. Guns, gold and gas: What UN sanctions target North Korea? In August 2017, the UN Security Council adopted a resolution banning all coal, iron, iron ore and lead imports from North Korea. Pictured here is China's Liaoning Greenland Energy Coal Co. in Dandong, on the border with North Korea. North Korea is prohibited from opening banks abroad, and UN member states are prohibited from operating financial institutions on Pyongyang's behalf. Any dealings that might help North Korea skirt the sanctions are banned, and UN member states must expel and repatriate anyone working on the regime's financial behalf. This North Korean cargo ship found itself boarded for inspection in the Philippines in March 2016 after the United Nations ordered member nations to de-register any vessel owned, operated or crewed on orders from Pyongyang. North Korean ships also cannot fly the flags of other nations to evade sanctions. Air Koryo, North Korea's national carrier, remains exempt from aviation sanctions and still has scheduled flights to China and Russia, as well as several domestic routes. However, the airline cannot fly to the European Union, which has banned it on safety grounds, and the United States prevents citizens from legally conducting business with the carrier. In December 2017, a new raft of UN sanctions targeted fuel imports in North Korea, meaning its residents could have difficulties driving the country in Pyeonghwa sedans (pictured above). The sale and transfer of diesel and kerosene are limited while the import of crude oil is capped at 4 million barrels a year. UN sanctions limit North Korea's diplomats abroad — at the country's Berlin embassy, for example — to only one bank account each. North Korea is also not permitted to own real estate abroad for any purposes other than consular. It's a safe bet that North Korea's marching military did not learn its moves abroad: UN sanctions ban foreign security forces from training the country's army, police or paramilitary units. The United Nations does permit medical exchanges, but otherwise allow very little assistance of scientific or technical value. Anyone wanting to own a larger-than-life Kim will have to await the end of North Korea's nuclear program. The UN sanctions currently ban the sale of statues by the nation. The assistant commissioner said the actions of the man, who has been living in Australia for more than 30 years, were "serious breaches of national and international law." The alleged sales activities violated both United Nations sanctions against North Korea and the Commonwealth Weapons of Mass Destruction (Prevention of Proliferation) Act. The police said the alleged agent is the first person charged under the 1995 Australian act. During the press conference, Gaughan said that Australian authorities had begun their investigation earlier this year after receiving information from international law partners. He praised the work of investigators in the case. The probe was still ongoing, he added, and could lead to more charges. The suspect currently faces six separate charges under national and international law, two for attempting to proliferate weapons of mass destruction and four for sanctions violations. Gaughan underscored that there was no suggestion that any missile componentry had ever reached Australian soil. Current knowledge of the man's suspicious activity dates back to 2008. He is due to appear in court later on Sunday, national broadcaster ABC said. The maximum sentence for his violations of Australian and UN sanctions is 10 years in prison. New satellite imagery suggests North Korea started rebuilding a rocket launch site before Kim Jong Un and Donald Trump's Vietnam summit. The site had been dismantled last year as part of Kim's denuclearization pledge.